The Player Groups and Associations have a robust and varied membership that is active year round. With weekly play and numerous individual and team events throughout the year, joining in is as simple choosing a group and coming to play. Skins Group – Plays Thursdays and Saturdays year round with tee times starting at 7 a.m. For more information, please contact Hollis Tinsley at 904.797.2667. 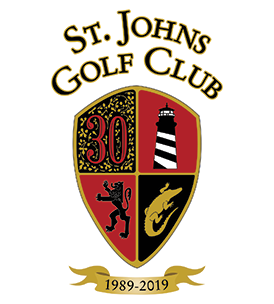 SJGC Men's Golf Association – Plays Mondays, Wednesdays and Fridays with tee times starting at 7:15 a.m. Monday and Wednesday games are individual play, Friday is team play. For more info, please contact Tom Welsch at 314.973.6066. SJGC Ladies' Golf Association – Plays every Tuesday and Thursday with 18-hole tee times beginning at 8:28. Be there by 8:00 for pairings and registrations. For more info, please contact Pat McHale 401.573.9999 and Deborah Geanuleas 703.362.1331. The Men's Club – Plays on Tuesdays and Saturdays with tee times starting at 9:00 a.m. For more info, please contact Jim Hill at 610.248-0966.